What would it have been like to be there on the holiest of nights, when God came to earth in the form of a precious baby named Jesus? Have you pondered that question during this Christmas? 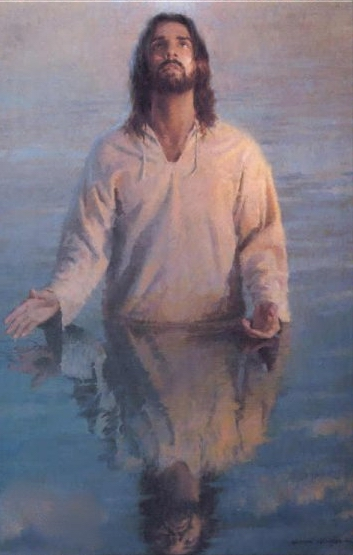 Would you or I have felt immediate peace in the presence of the Prince of Peace? 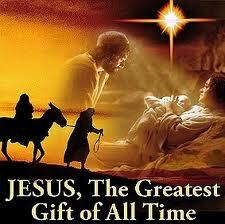 Would we have understood the significance of the gift? Or, would we have been too caught up in your own lives to even pay attention. What would it have been like to be there and simply be living life, unaware that the greatest gift in the history of the world had just been given…. to you, and to all of mankind? We can look to the story for our answer. 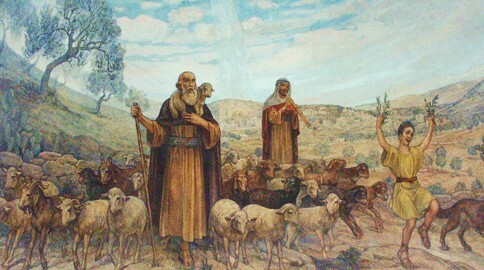 It is the shepherds with whom most of us would identify. Their vocation may have been humble, and God must have chosen them specifically to send a message that His salvation could not be bought or earned. However, their focus on the everyday (and every night) tasks of life is the common denominator with us. Some of them were probably asleep, and some were just doing their jobs. Most importantly, none of them seemed to have had any knowledge that the night when Jesus was born would be different from any other night. In the account of the angels’ proclamation to the shepherds, their response to the events and their state of mind as the night unfolded was revealed four times (as told in Luke, chapter 2). 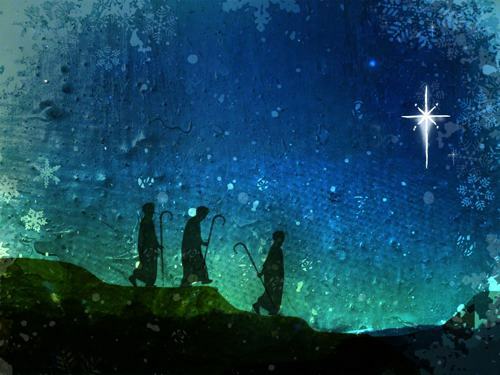 First, the shepherds were afraid. A quiet night on the hillside with sleeping sheep had suddenly become an event. The startling light was unlike anything anyone had seen before. It was more than just light. It was “the radiance of the Lord’s glory”. The shepherds must have felt that they had been singled out because they had done something wrong and that they must now answer to the Lord because surely all their wrongs were known. The angel had to reassure them by saying, “Fear not!”, before proclaiming the good news of the Savior’s birth and stating God’s intention of revealing His good will toward men. 8 That night there were shepherds staying in the fields nearby, guarding their flocks of sheep. 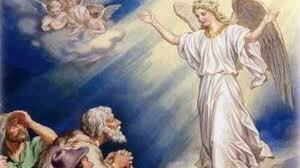 9 Suddenly, an angel of the Lord appeared among them, and the radiance of the Lord’s glory surrounded them. They were terrified, 10 but the angel reassured them. Thirdly, the shepherds were amazed and excited, to the point that they testified about all that they had heard and seen repeatedly. They were so thrilled and humbled and joyous that they could not keep this good news (and the miraculous events of that night) to themselves. They told everyone! 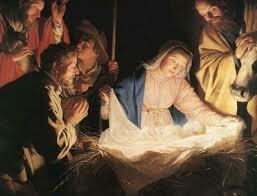 17 After seeing Him, the shepherds told everyone what had happened and what the angel had said to them about this child. 18 All who heard the shepherds’ story were astonished, 19 but Mary kept all these things in her heart and thought about them often. 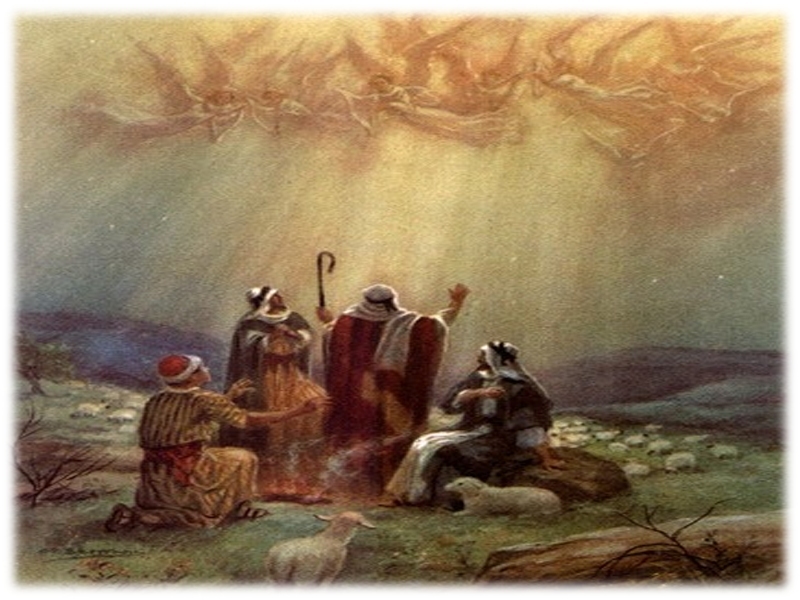 Finally, the shepherds were worshipping with joy. Remember the description of the shepherds’ return to their flocks after seeing the infant Christ? They were “glorifying and praising God for all that they had heard and seen, just as it had been told to them.” That is worship. 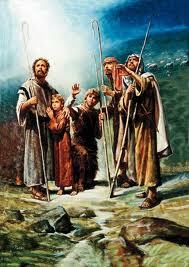 20 The shepherds went back to their flocks, glorifying and praising God for all they had heard and seen. It was just as the angel had told them. * Notice that the shepherds were not praising God only for the experience of seeing Jesus but rather for ALL that they had heard and seen. Even the angels’ pronoucement, which terrified them at first, had become a source of joy and wonder and something else for which to give God praise. The very fact that God’s holiness and power had been manifested to them on that hillside and in the person of the infant Christ gave them reason to rejoice. * Notice also that the shepherds had to obey what they were told to do before they were able to have the full experience of worship, joy, and wonder. God announced His incredible gift to them and invited them to come and see. Then, they had to respond… just as we must respond individually to God’s good news that He has provided a Savior for us. Again, God has taken the initiative. He has provided a Savior in response to our need. laying aside His own glory and willingly experiencing pain and loss because of His love for us. All we have to do is to bring our doubts and sins and fears to the manger and the cross, believing that Jesus is the Son of God and the Savior of the world, and then laying our burdens down in exchange for His gift of salvation in Christ. Our God has sent a Savior, Jesus, to rescue us from our own hardened hearts. He chose to come to earth in the form of a Man in order to do what we could no do for ourselves. He lived a perfect life so that He could, once and for all, pay the penalty for the sins of mankind. To God be the glory! Here is a poem that I wrote as this Christmas and the Lord of my life touched my heart again through the message of God’s great gift. Come, lowly shepherds! Now, arise! 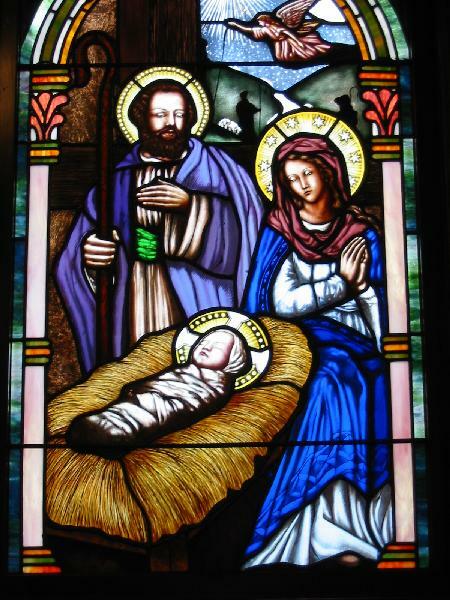 For in Bethlehem, the promised Child is born. Come, and see God’s only begotten Son. He will give His life for the sheep. And He will bind the wounds of the weak. Come, wise men searching for a King. Follow the star; your treasures bring. Come, and see this blessed, Holy One. And He will rise, triumphant and Holy. 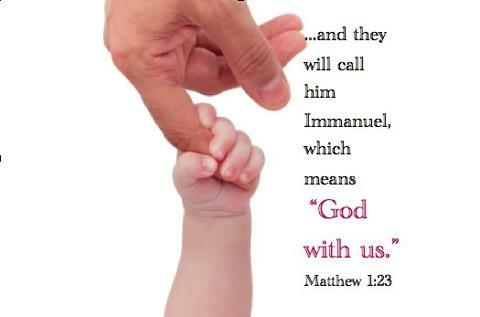 He will reign in the Heavens above. And conquer hatred with His pure love. Come, pilgrim seeking Heaven’s joy. Behold “God with us” in this boy. 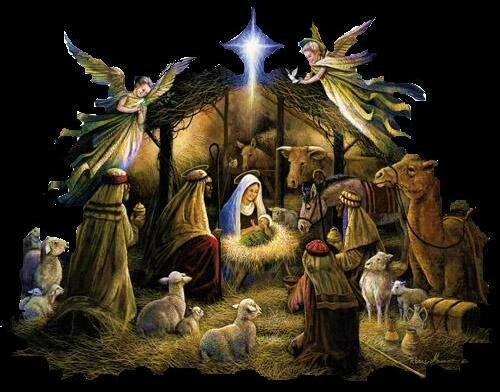 For the Prince of Peace has come to grace this Earth. Come, and see Salvation’s humble birth. He will heal the sickness of sin. And give new life to us within. Come, wand’rer chasing empty lies. Behold the Truth! Lift up your eyes! For the Light of the World is here to set you free. Come, and see the Lamb of Calvary. And He will shine as Star of the Morning. He will take your hand in the night. And fill the shadows with His light. Come, seeker looking for the Way. 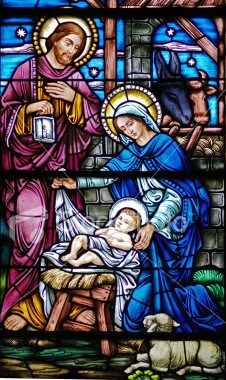 Let Christ be born in you today. For the Lord of All has come to take your place. Come, and see your Redeemer’s face. And He will guard your heart and your tomorrows. He will wash away every stain. He will redeem each one of your sorrows. And bring you joy even through pain. 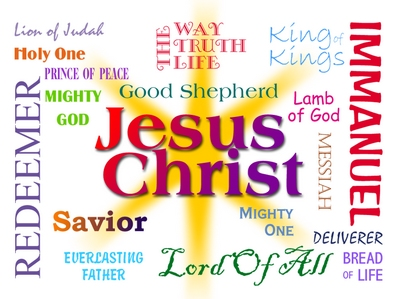 For He is Lord, Messiah, and Savior. He is Emmanuel, King of Kings. He is the one of whom angels sing. A Reader’s Theatre Version of this poem has now been added to our blog. 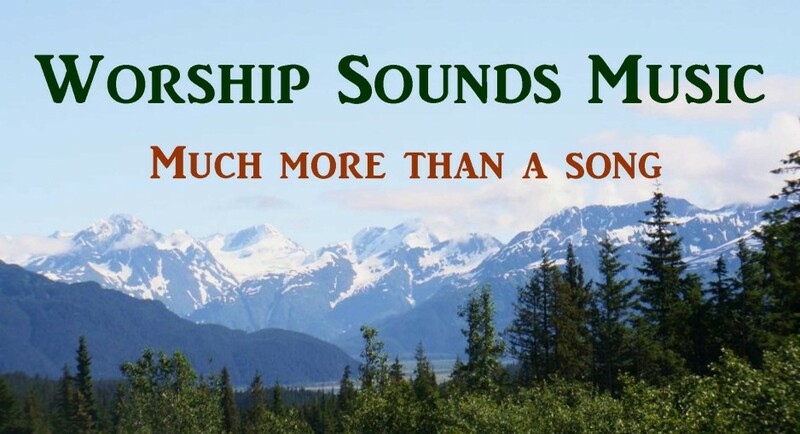 “Come and See” may be read aloud at any worship service or non-ticketed event (concert or program). However, it may not printed in any publication or on the internet without permission. Comment on this post to request permission (unseen by the public, because our comments must be approved). We will reply to your email address privately. 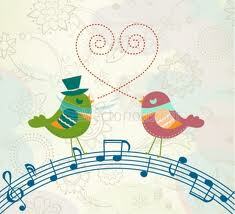 * CHRISTMAS JOY and INSPIRATION, * PRAISE PROMPTS - That's Why We Praise Him! There are many roles defined in scripture for Jesus as our Lord and Savior. He has also been given many names that are descriptive of his supremacy over all things in every way. The name of Jesus has saving power and authority over all of Creation. His name is truly the name above all names! This site is the source from which the above list of the names of Jesus (with scripture references) was copied. The two larger illustrations that appear on this post also came from this web site.